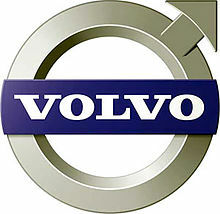 Swedish auto manufacturer Volvo has made a bold claim ,promising autonomous vehicles that can drive themselves as soon as 2014. They plan to achieve that with a system called Traffic Jam Assistance - a system designed to give the driver a bit of rest in slow traffic. Traffic Jam Assistance will utilize vehicle mounted cameras to detect the road and vehicles ahead, while an array of sensors keeps the car at a safe distance in low speed traffic. This allows the vehicle to independently steer, break and accelerate at speeds of up to 30 mph. Volvo is not alone - other car manufacturers including Mercedes, BMW and Cadillac are all promising their own unique variants of the technology in the very near future. It's Volvo, however, who have gone a step further. They've set up an agreement with the European Car Communication Consortium to implement various supporting infrastructure, such as "smart" traffic lights and hazard warning systems. There are always safety concerns when it comes to autonomous vehicles, but starting off with something that only works at low speeds is a step in the right direction.